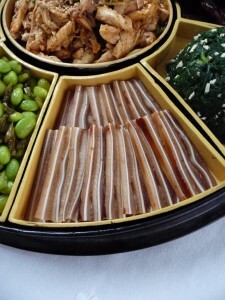 You can read my piece about the new Sino-British pork deal that will bring shiploads of British pig’s ears to China in today’s FT magazine. On the right, some sliced pig’s ear served as part of a Sichuanese hors d’oeuvres. 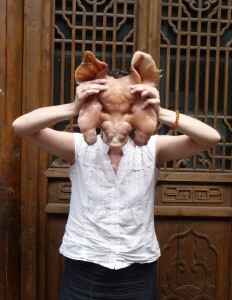 On the left: me modelling a nice pig’s head in Yangzhou. that’s one very scary photo of the pig face. i might have nightmares now.